Magnetite, also known as Lodestone, is a grounding stone that provides a balancing and calming energetic vibration. Magnetite is a stone for polarity balancing and bringing energy fields into resonance creating healing vibrations of well-being on all levels. Magnetite may help one to recognize and distinguish the duality which exists in one's environment. 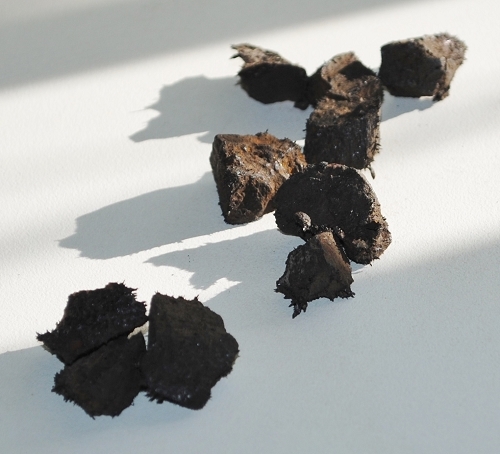 Magnetite balances the male and female aspects of one's body, mind, and emotions. Magnetite assists with relieving burdens, eliminates confusion, helps to remove obstacles and encourages motivation and confidence. Magnetite helps one trust their intuition and come to a new and balanced perspective on life experience. Magnetite's vibrations support tenacity, durability and endurance. Magnetite helps one find answers and the capacity to remove oneself from unnecessary and unwanted situations. Magnetite is a stone of manifestation and acts like a magnet to attract one's desires and love. Magnetite awakens the intuition, supports creative thinking and problem solving, and uncovers hidden potential in situations. Magnetite helps the release of fear, anger, attachment, and is supportive of those experiencing grief. 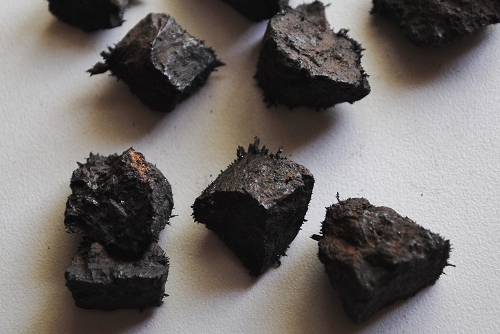 In healing, Magnetite assists in the removal of energy blockages, which are present in disease, renewing and balancing energetic flow and emotions creating healing and strength building in the body. Magnetite supports healing of muscular aches and joint pains, the blood and circulatory systems, nosebleeds, and asthma. Magnetite is anti-inflammatory and supports healthy skin and hair. Magnetite is supportive of healthy red blood cells and in preventing anemia. Magnetite is helpful in balancing the endocrine system and lessening the emotional effects of hormonal changes such as puberty, PMS, or menopause.